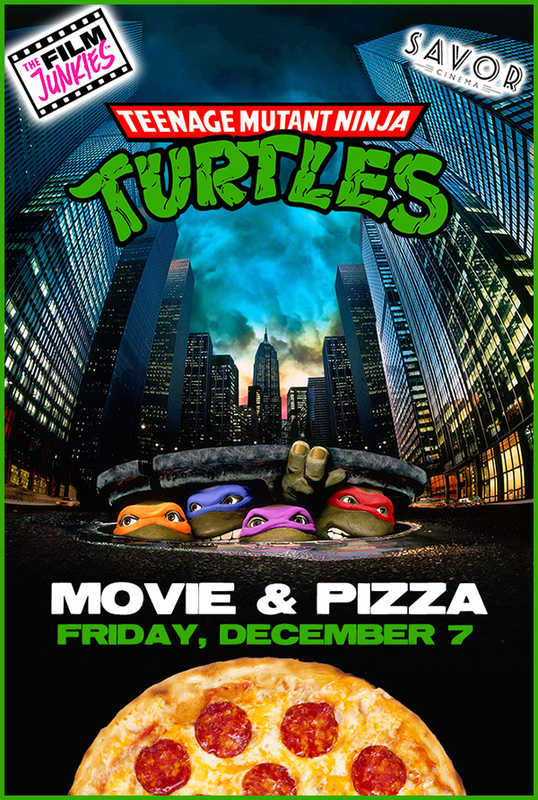 Home » EVENTS » Teenage Mutant Ninja Turtles (1990): Movie + Pizza Event! COWABUNGA! The Film Junkies and Savor Cinema are taking it back to 1990 with a special screening of the original Teenage Mutant Ninja Turtles film. Forget the remake, we are bringing back the only Ninja Turtles that really matter. The Jim Henson created turtle costumes look just as amazing today as they did nearly three decades ago. 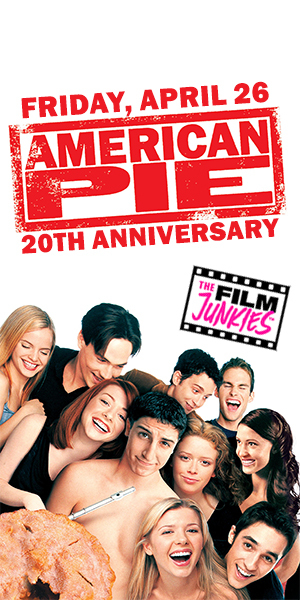 Join us for a night of pizza, drinks, and an awesome flick. Costume party with prizes (dress as your favorite TMNT character or come decked out in your best 90’s inspired attire, classic Ninja Turtle cartoons playing on the outdoor screen while you enjoy some pizza & drinks on the patio from 8-10pm. 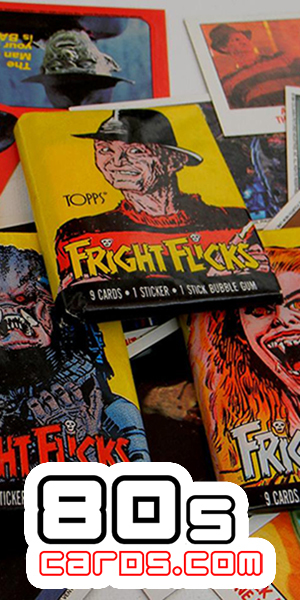 Plus, vintage movie trading card table by 80sCards.com. 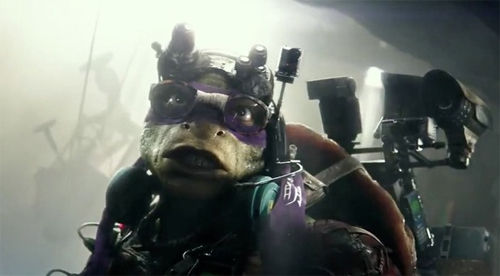 At 10pm, head inside the theater for our special screening of 1990’s Teenage Mutant Ninja Turtles.